Overlays are graphics that you place in your stream. The most popular overlays include elements such as webcam frames, and alerts that pop up whenever you get a new follower or subscriber, and goals. With Player Create, you can create your own custom overlays or choose from hundreds of free premade overlays. 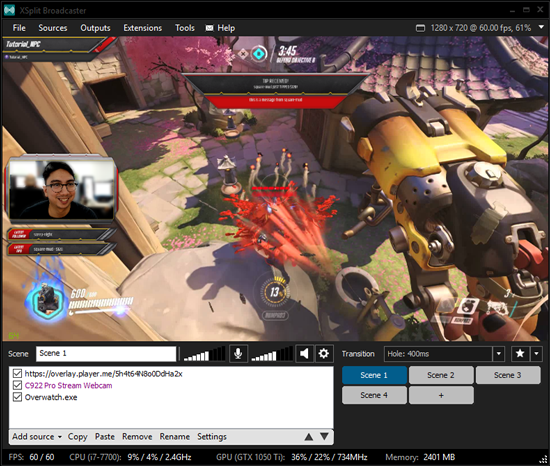 Player.me’s overlays offer a ton of customization and feature all the widgets you’ll need for streaming.